Looking for a competitive edge in fantasy hockey? You have come to the right place. This week, we talked fantasy hockey with one of the best in the business. NHL.com’s Matt Sitkoff joined us to help set up the upcoming season. We hit a lot of topics. Whether you are looking for rankings, or sleepers, or even draft day strategy, this interview has you covered. Sitkoff spent more than 40 minutes with us giving you hints and tips that will give you an edge on the competition. Who will go first overall in drafts? How will familiar faces do in new places? Which players aren’t getting enough attention, but will help you win your league? How should you approach your draft? 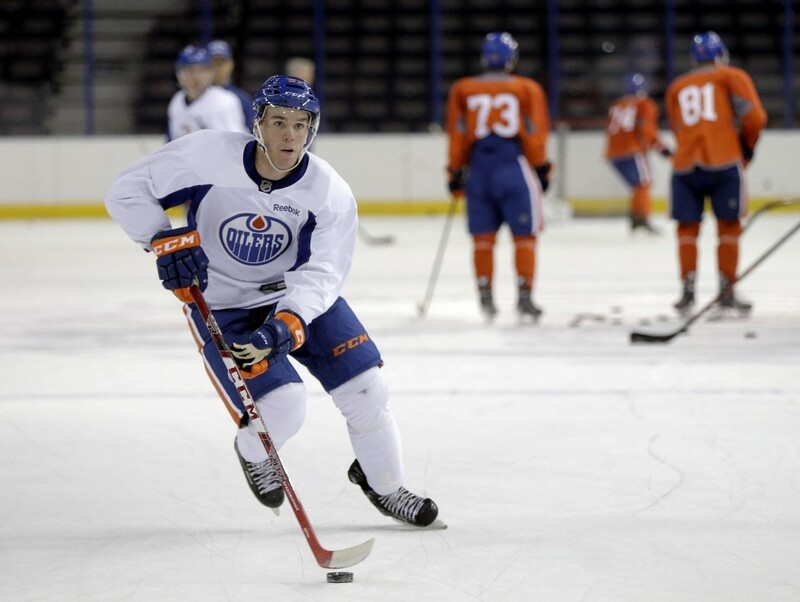 Is Connor McDavid a first-round pick? When should you consider taking Jack Eichel? Would you rather own Victor Hedman or Drew Doughty? Which newly drafted players not named McDavid or Eichel will have an impact this season? It’s not who you think. And that’s not even the half of it. Click on the link below to hear our entire conversation. Make sure you follow Matt on Twitter @msitkoffnhl. While you are listening to our interview, check out some other great fantasy content that will help you get ready for the upcoming season. Clicking on the links will not interrupt the interview. For those that have rookie drafts coming up, our Larry Fisher wrote a great piece on how to reload through the rookie draft. Interested in fantasy trade history? Fisher shared his 120 fantasy trades from five years of keeper leagues. Our James Tanner shared his thoughts on if Connor McDavid is number one overall material in fantasy circles. Are you looking to create a keeper league? Our Andrew Forbes shares his how-to guide. Who’s got the best core of players? Zachary Cook shares his entire list. And here is NHL.com’s Offseason Top 200 Rankings.